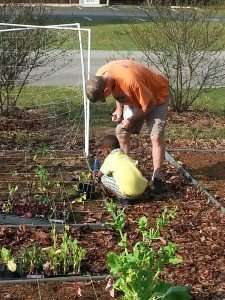 The community garden beds at SWAG Family Resource Center are ready for spring! Bob, one of our many dedicated volunteers, has been preparing the beds for planting. Yesterday we excitedly watched as several neighborhood children spontaneously asked to help and became involved in the planting process. We are looking forward to providing fresh produce to community members! Community dinners are held monthly. Please check calendar for times & dates. SWAG Board Meetings meetings are held on the 2nd Friday of the month from 9:00 a.m. to 11:00 a.m. at our SWAG Family Resource Center. For the Resource Center Events Calendar, click here. Join our mailing list to receive updates on our progress and upcoming events. Meet the Southwest Advocacy Group! Additional videos on our Media page. SWAG Board Meetings meetings are held on the 2nd Friday of the month from 9:00 a.m. to 11:00 am at our SWAG Family Resource Center. These meetings are closed, but if you would like to add an item to the agenda, feel free to contact us.